A team from IIT Kharagpur and Indiana University of Pennsylvania (IUP) is jointly conducting a study to find whether climate change is having any effect on the quality of Darjeeling tea and its production process. The Department of Architecture and Regional Planning of IIT-KGP and the Department of Geography and Regional Planning of IUP have come together to collaborate on the topic for the Summer Study Abroad Programme in India, 2017. 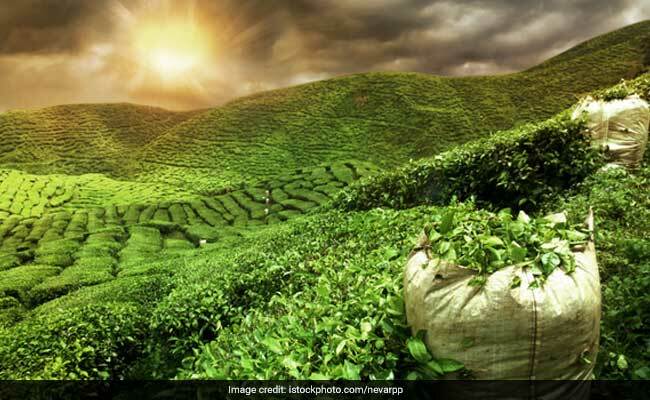 Kolkata: A team from IIT Kharagpur and Indiana University of Pennsylvania (IUP) is jointly conducting a study to find whether climate change is having any effect on the quality of Darjeeling tea and its production process. The Department of Architecture and Regional Planning of IIT-KGP and the Department of Geography and Regional Planning of IUP have come together to collaborate on the topic for the Summer Study Abroad Programme in India, 2017. "Through this study we are taking a look at what are the special factors responsible to give Darjeeling tea its uniqueness. From environmental perspectives, we would analyse what changes or climate change impacts have been affecting the tea industries," Principal Coordinator of the programme for IIT-KGP Haimanti Banerji said here yesterday. "We would also try to take a look at how the tea gardens are evolving or changing their production process as a response to the changes," Banerjee, who was present at a workshop at Americn Center with head of department, Prof. Subrata Chattopadhyay said. Seven students and two faculty members of IUP have already arrived in Kolkata. "Tea is something that the entire world can relate to, even Starbucks has introduced Chai Latte in their menu. And when we talk about tea it is the world famous Darjeeling tea which comes to the mind," Principal Coordinator of the program for IUP, Sudeshna Ghosh said. "This research will focus on the socio-economic and geographic issues of tea -plantations and how they are impacted by climate change. Darjeeling has been selected as the test bed for this year," Ghosh, who was present at the workshop along with Brian Okey, said. The students from both IIT-KGP and IUP would be visiting Makaibari Tea Estate and Darjeeling Tea Research & Development Centre at Kurseong this month to conduct their field study. "We would also be collecting weather related data of the region for the past 50 years, to understand the extent of climate change and how it gave Darjeeling tea its unique aroma," Ghosh said. The study will lead to a joint report production at the end of the three weeks programme which would include possible policy intervention.